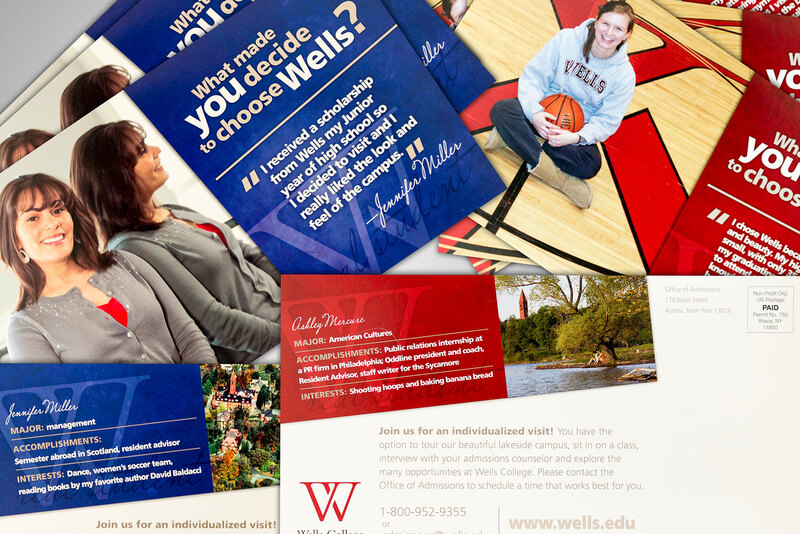 Wells College Working with many offices across campus (Advancement, Admissions, Marketing), Stone Soup has become very familiar with the Wells College brand, doing our part with printed visual communications to further their brand promise of offering an extraordinary education. 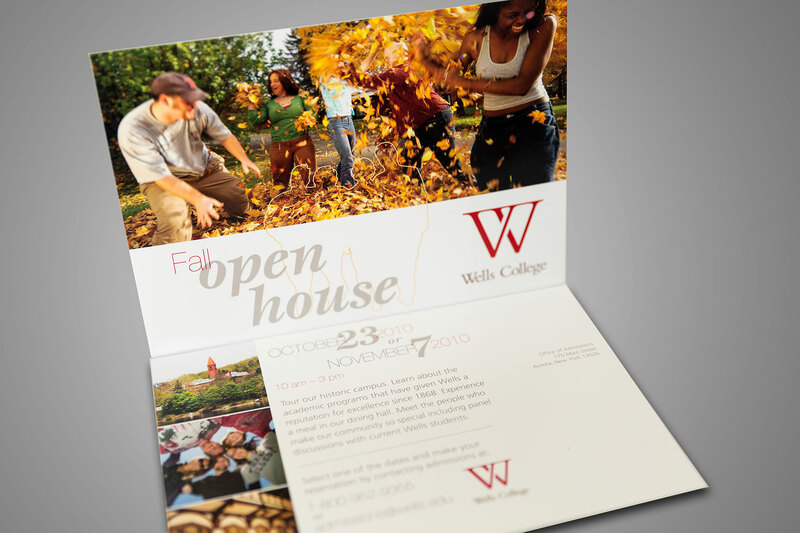 Wells College is a private, co-ed college located in a picture-perfect setting on the shores of Cayuga Lake in central NY state. 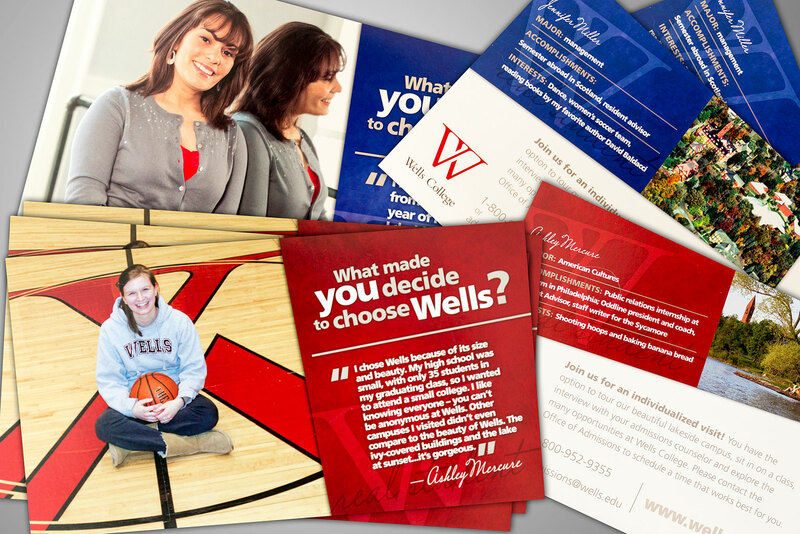 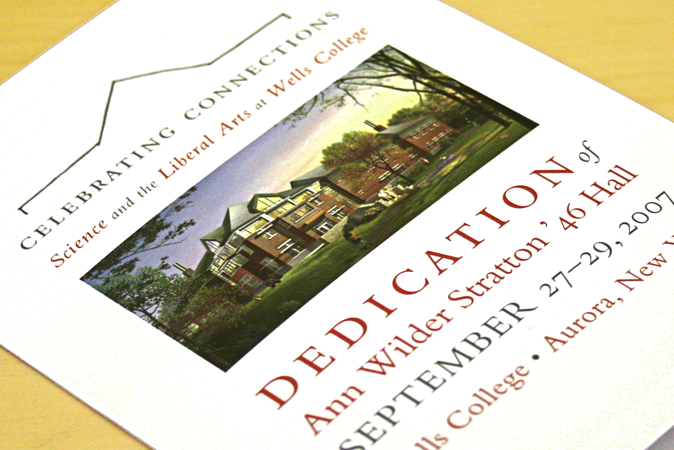 Since 2006 we’ve been working with Wells College’s Offices of: Communications, Admissions, Advancement, and Student Life. 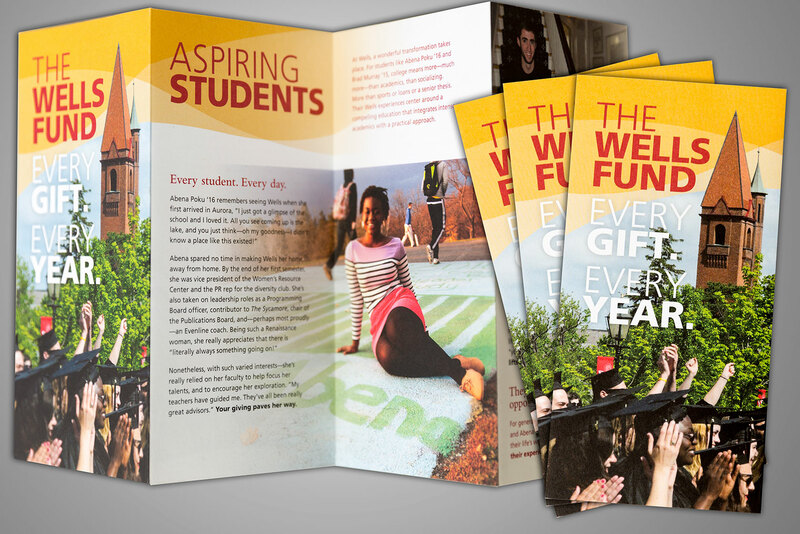 These projects include a variety of internal and external communications such as invitations, direct mail campaigns, an alumni magazine, fundraising appeals, and student orientation materials. 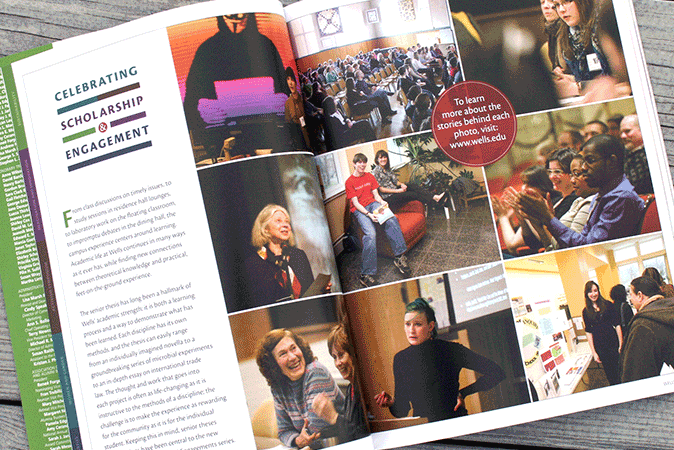 Their main form of outreach to the alumni community, the school’s Office of Communications had roster of rotating designers working on this publication – with less than optimal results – until they brought us in to re-design it in spring of 2012. 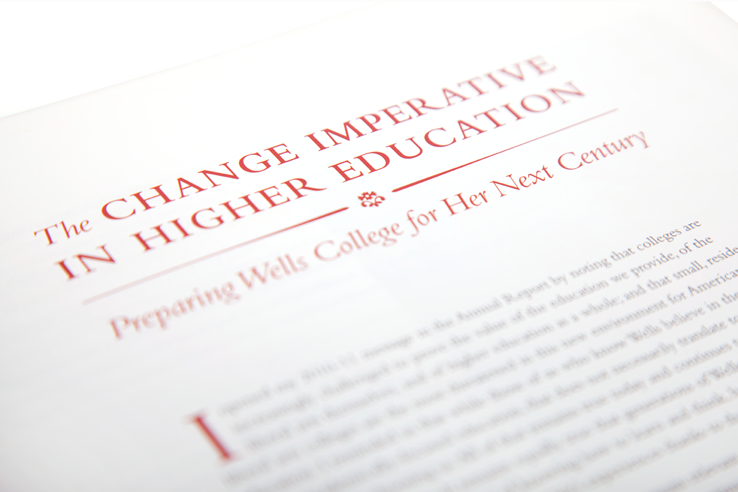 Stone Soup Creative has become very familiar with the Wells College brand, and as an “outside consultant” we do our part to protect and further their brand promise: an experience for students that is ‘small, smart, connected’, and the ability to offer an extraordinary education. 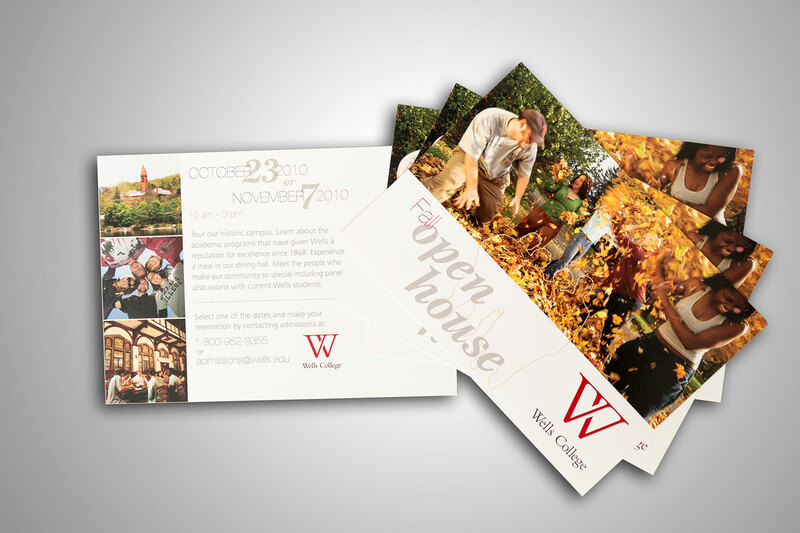 Still working within the Brand Guidelines we’ve enjoyed the freedom to innovate with creative concepts and visual explorations, depending on the specific needs & goals of each office & project we’re working on. 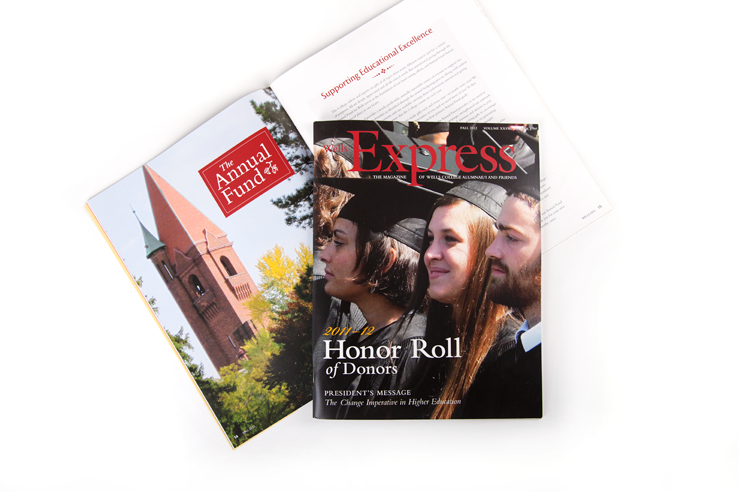 Express has been no different. 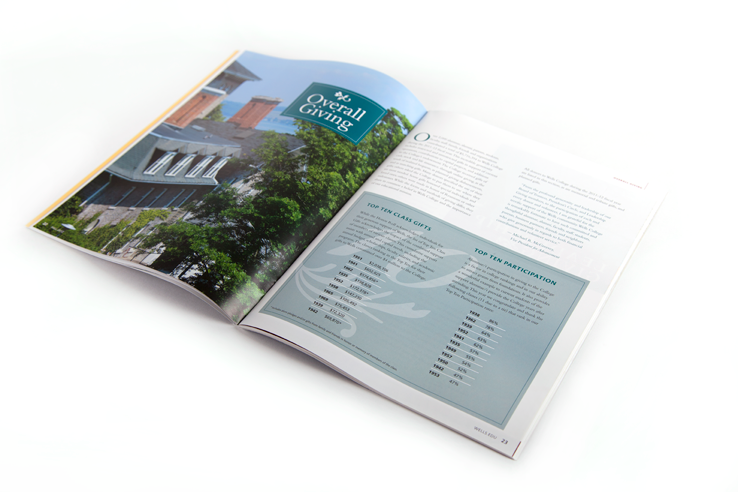 While each issue has a consistent look & feel, the individual themes of each issue allows us to push the grid and experiment with the design and layout. 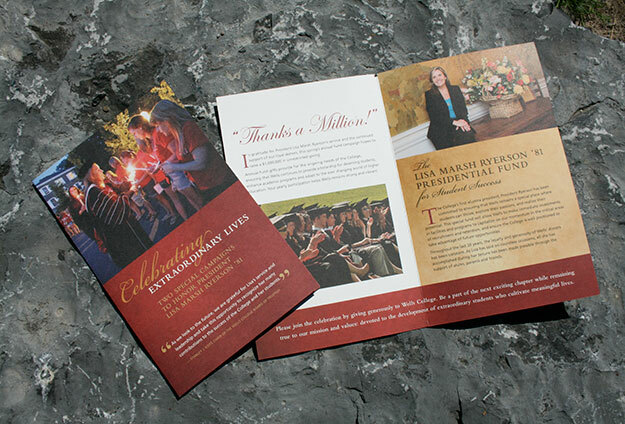 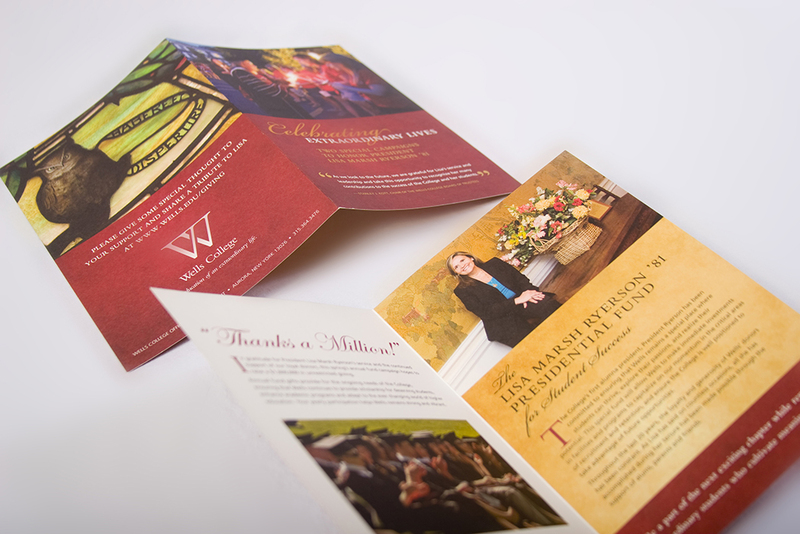 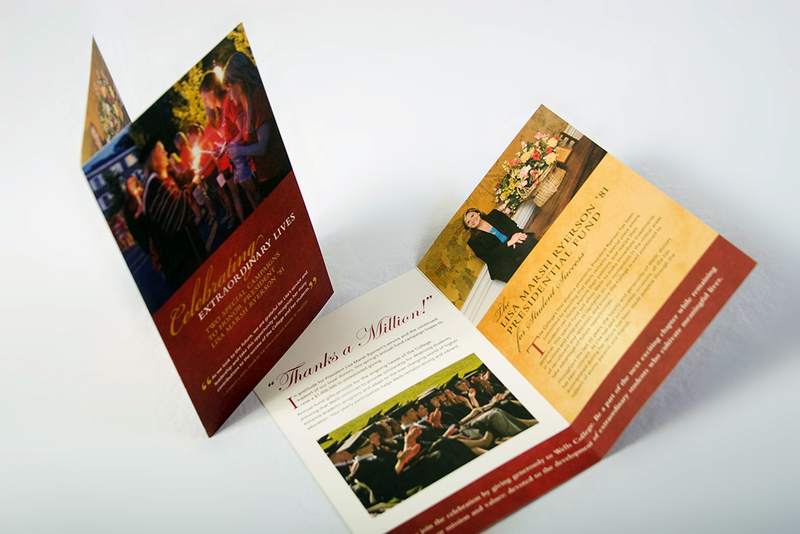 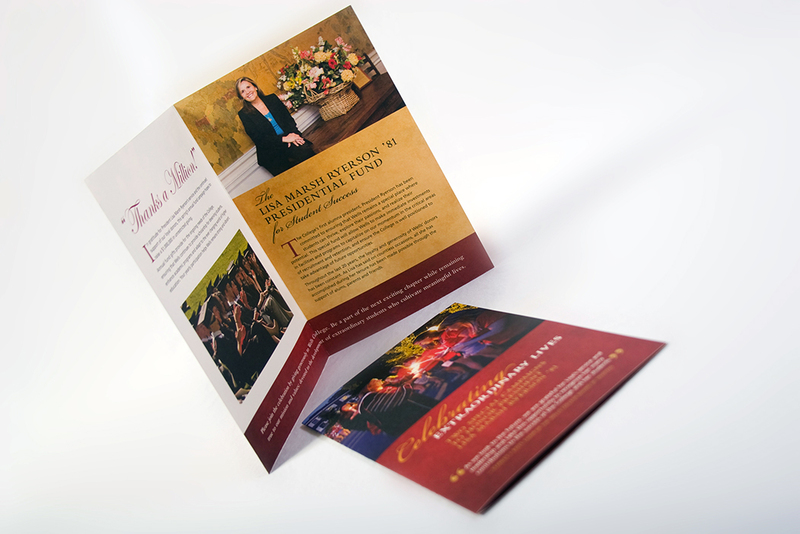 Communications and fundraising collateral that forms a cohesive, engaging and professional picture of this small liberal arts school.